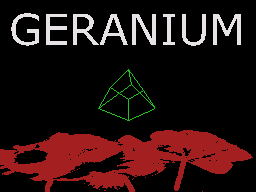 View topic - [Coding competition 2019] SC3D Demo By Geranium by SKuRGe911 - Forums - SMS Power! sorry for the dumb question - how can I test that? I don't have an SC-3000... is some emulator suggested? 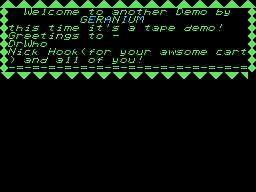 The demo is intended for tape first which is even harder, a batch file for Mame is included. 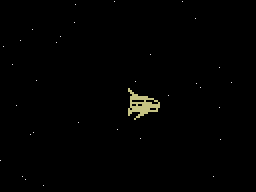 The .SC version ought to work on a Master System via flashcart. Yes, I meant I saw that .SC file and found out it worked with MEKA.